The word tax can mean either ‘a sum of money demanded by a government…’ or ‘a burdensome charge, obligation, duty or demand’. We all understand the first meaning when thinking about our business but do we often think about the second one? Do you ever think about what causes you to feel ‘taxed’ by your business? In what way can your business be taxing you, and what payment does it expect from you? The main way that a business will tax its owner will be in time, whether it is physical time that you have to spend working on it or in it, or emotional time, either by time worrying about things or problems that surface in the day to day life of running a business. Is your business running perfectly all of the time without making any demands on you at all? If so you are a very rare case. Most of us need to exert some time and effort in our business in order to be able to reap the rewards that we set the business up for in the first place – be it money or lifestyle. But what happens when our businesses become ‘burdensome’ to us? What do we do and to whom can we turn for help and advice? Many of the things that are burdensome to us can be outsourced to others who are more qualified to do them, and as such can do them much quicker and more accurately than we can ourselves, so in fact it actually saves us money by outsourcing these things as the time saved by ourselves can spent doing what we do best and actually enjoy. Make a list of all of the jobs that you do in your business and see which ones can be outsourced, for example: bookkeeping, telephone answering, keeping the database up to date, writing and sending newsletters, chasing up debts. All of these can be easily outsourced to a third party. Planning how you use your time can have a dramatic effect on your productivity and thereby also your stress levels. Don’t try to do lots of things at once as it results in lack of focus and concentration. If you work on one thing at a time you will feel much more satisfied as you can tick each thing off your to do list as you complete it. This will help you to feel as though you have achieved more during the day too. Make sure that you write a to do list each evening before you leave work, this means that when you get into the office the next day you know exactly what you’ll be working on, which will save you lots of time. Turn off your email announcements to avoid being distracted. Agree with yourself how often and at what time of day you will check your emails. You do not have to reply instantly, it can give a false impression of your business, for example that you are not a high quality, in demand business if you can answer your emails instantly. Write a list of rewards that you will earn for reaching certain milestones or achieving things in your business that are important to you and make sure that you take the rewards when you achieve your goals. Take some time out to think about what it is that you want to achieve and where your business is going, write these down and keep them in a prominent place. A business without goals is like a ship without a captain, it will just wander aimlessly. Finally ask for help if you need it. We are always happy to speak to people who want to succeed. 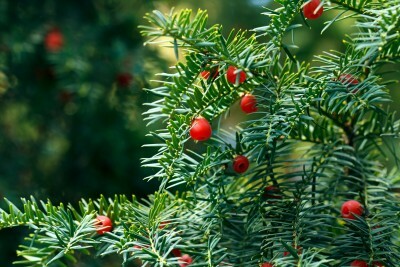 By the way, in case you are wondering about the picture – the horticulturally minded amongst you might recognise a picture of a Yew tree whose Latin name is Taxus! !